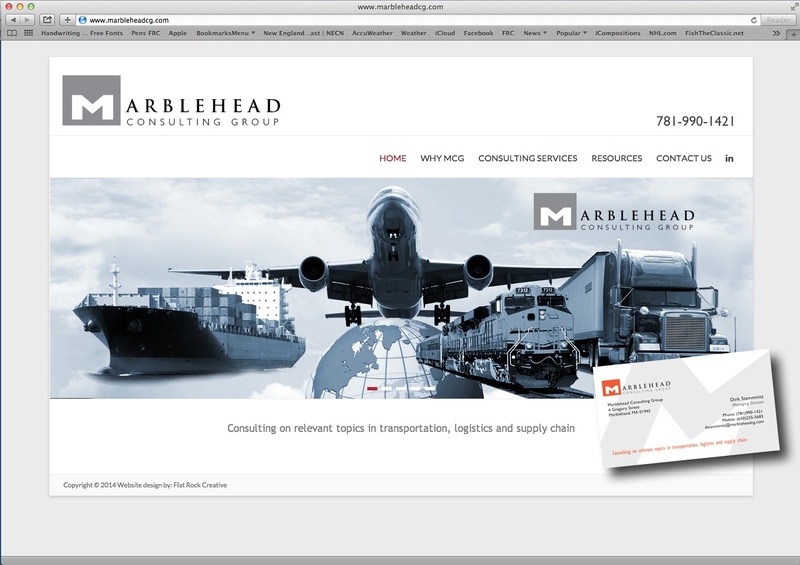 New website and business card for Marblehead Consulting Group. Marblehead Consulting Group are experts in transportation logistics, but in order to move forward in todays fast paced world they needed a professional presence online and solid branding design. That’s where we came in. Flat Rock Creative listened to the wants and needs of Marblehead Consulting Group and delivered another successful website and marketing solution. 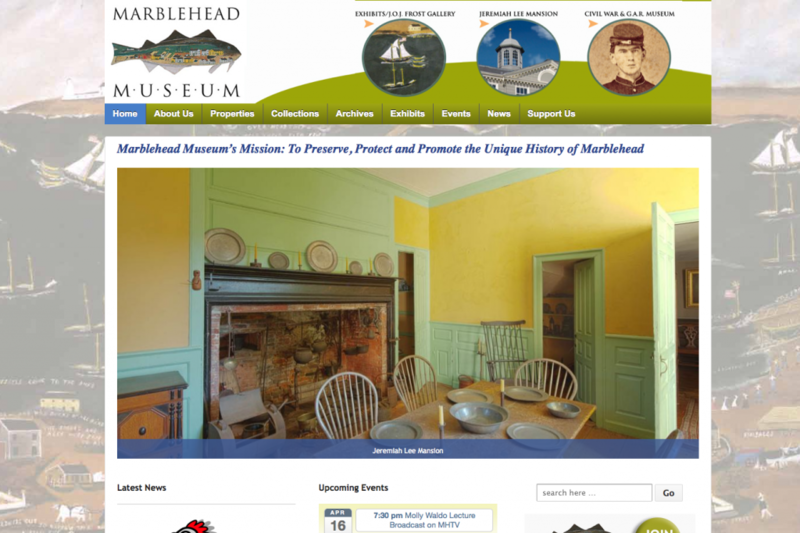 Flat Rock Creative Rocks Marblehead Museum’s Website. Peter Schalck, Owner and Designer of Flat Rock Creative, has created a wonderful new look for the Museum. He incorporated many of the elements of our previous website while updating the look. His aim was to make our website more interactive and engaging for the viewer as well as easier for Museum staff to administer. Peter was able to make the site more versatile as well. It is now responsive to different devices whether it is a a computer monitor, a lap top, a tablet or a smart phone. The Museum wanted to make sure our mission was front and center and also showcase our new logo. Another goal was to make the public more aware of the Museum’s three properties. The home page slide show displays images representing each. By creating the three “porthole” round images in the header and linking them to pages about our three properties, our hope was to show that the Museum offers a Changing Exhibits Gallery and the J.O.J. Frost Gallery at 170 Washington Street as well as the Civil War & G.A.R. Museum at the Old Town House in addition to the fabulous and classic Jeremiah Lee Mansion. Adding a google map reinforced making the museum accessible and the connection between the three properties. The dynamic quality of the new site allows it to change often and present new content. The “latest news” feature and calendar on the home page was intended to keep our members informed about events and what’s happening at the museum with the intention that they will visit the site often.